How did the State do? For several months now, we have all pored over the evidence in this case and searched for answers to many nagging questions. Many of those questions still remain unanswered and were not addressed in the State’s closing arguments… much to the disappointment of some people expressing their opinions online, and likely to the delight of the Defense. Does that mean the State has not proven their case? No, absolutely not. Cases fail when the State does too much or does not have a narrow focus on what they are trying to achieve. The goal is not to spew out endless amounts of information in the hopes that more is better. It’s better to know what exactly you have to go after to prove that the accused/defendant is guilty per the letter of the law. Nel set out on a very specific mission back in March to prove to the court that Oscar’s story could not be reasonably, possibly true. We heard that sentence numerous times. He was direct in stating that this was a circumstantial case. It’s circumstantial because only two people were in the house that night and only one of them can tell a story. Circumstantial evidence requires an inference. It is an accumulation of details that reinforce each other and corroborate that inference. For instance… a woman is heard screaming in terror, several minutes later there is gunfire and a woman is subsequently found dead. You can circumstantially make the inference that the screams came from the woman who was killed and not from somebody else. There is also direct evidence, which does not rely on inference (ballistics, blood spatter, etc) that can be added to the story to further strengthen it. The ballistics evidence from Mangena greatly supports that Reeva had time to scream. It also supports that there was a pause after the first shot, which equals conscious thought. That bolsters the circumstantial evidence of what the neighbors heard and also shatters the Defense assertion that Oscar acted out of an involuntary response. Nel puts to Oscar that there were only two people in the house that night. He killed Reeva and is the only one who can give us a version of what happened. Oscar agrees. Nel also puts to him that “his version is not only untruthful; it is so improbable that it cannot be reasonably, possibly true.” Oscar does not agree. 1)	Reeva ate within 2 hours of being shot and killed. 2)	Whilst awake, there was an argument in which Mrs. van der Merwe heard Reeva’s voice. 3)	Johnson, Burger and both Stipps heard Reeva’s blood-curdling screams. 4)	Oscar shot 4 shots through the door while knowing that she was behind the door. 5)	Oscar knew that she was talking to him. 6)	She was locked in the toilet room. 7)	Oscar armed himself with the sole purpose of shooting and killing her. IN THE ABSENCE OF A SUBSTANTIATED, TRUTHFUL STORY FROM OSCAR, THE COURT WILL THEN HAVE TO RELY ON THE OBJECTIVE FACTS AND THE CIRCUMSTANTIAL EVIDENCE. This is the most important sentence to understand in this case. If the court rejects the accused’s version of events and relies on the objective (common cause) facts and the circumstantial evidence a conviction on murder with dolus directus is inevitable. We respectfully argue that the actions of the accused demonstrate pre-planning in that he armed himself, moved towards the toilet and killed the person in the toilet. I believe strongly that Murder was proven and that dolus directus will be the finding. I believe that Judge Masipa will find the ear witnesses to be credible, therefore she will infer the screaming female voice was Reeva’s. The only inference left is that Oscar’s story is not reasonably, possibly true. The Judge will render her decision on September 11. In my next blog post, I will share my opinions on the Defense Heads of Argument. I find it interesting that the second “startle” is not in the plea explanation. It is pretty significant in OP’s version of events. I also find it strange that the defense denies the jeans being on top of the duvet. It is not photo deception, Nel proved that they were on top. OP admitted openly that if the jeans were on top of the duvet it would create a difficulty for his version, thats why when Nel showed the photo they had to try something to create even a little doubt. But yes its clearly in top. What is, genuinely, detestable is how much hatred people seem to have for OP; a man who is still innocent until proven guilty. This hatred seems to blind people to common sense. A few posts ago, people were trying to say that he had planned this whole intruder story in advance. This is just crazy, and there is not a scrap of evidence for it. But OP haters create these bizarre explanations to get around fundamental problems with their argument – e.g. the fact that he had an explanation for the shooting a few minutes after it happened, which hasn’t changed. Similarly, the evidence that a male voice was heard screaming for help before the “shots” heard at 3:17 is dismissed as OP “taunting” Reeva before he shot her. Why on EARTH would OP scream for help so loud that residents many hundreds of metres away could hear him, just before he short his girlfriend. It doesn’t make sense. The only explanation is that the female sounding screams heard by the neighbours were in fact OP, and that they happened after the shots. Once you take away the screams, the State’s case is reduced to arguments about the length of a fan cord. There really is very little evidence at all to show that OP intended to kill Reeva, knowing it was her behind the door. Speaking for myself, my views here have nothing to do with hate. 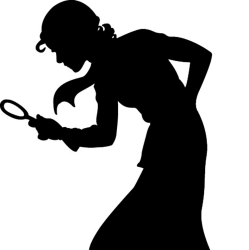 They have to do with justice and an examination of evidence for an accused person on trial. True he has not been judged yet by the court, but we are all within our rights to express how we interpret the evidence. Per my original blog post, I have laid out why I believe the actions of OP that night were in fact illegal and it is my opinion that he should be convicted. What views should we have of a domestic abuser who brutally murders a female who trusted him, and then refuses to take responsibility for his own actions? Instead resorting to lies, PR and expensive defence teams? Its got nothing to do with hate, thats ridiculous. If you take away the screams then you still have the evidence inside the house that proves OP version is false, like the denim, duvet, fan positions, small fan unplugged, magazine position, bullet angles, lights in in the house, phone charging in the kitchen, “security everything is fine” the 3 noises/startles being shown to not have happened. Bail application point 16.11 where he says he fired because he heard movement in the bathroom. That to me sounds like feet scuffling in the floor, maybe your arm making contact with the side of your body etc but it cant be wood being moved as we know in his own version the door handle never moved and the door never opened. We also know from expert evidence from the state AND defence that the magazine rack never moved at all the entire evening and that in the position RS was shot in it was impossible for her to have bumped it from the other side of the bathroom so he cant get away with saying the movement he heard was wood. To my mind this proves there was no noise. But he knew, even by the 19th February 2013 that he had to give an explanation for what caused him to fire into the toilet. Later on he realised the importance of that noise and thats when he said it was wood moving and that he perceived it be the door opening and it cased him to fear for his life, but he dug himself deeper into the hole because it was proved that the only thing that could have caused a wood noise never moved. Conversely, I think some people’s adulation of Oscar has blinded them to common sense. In fact, common sense favours the prosecution far more than the defense: a woman is heard arguing, then screaming and then is shot dead – this sounds like common sense to me. Nothing can make me believe that 4 very credible witnesses (okay 2 independent couples, if you will) were mistaken about a woman screaming for a considerable length of time (15 minutes?). But you are correct in saying this rather brief (to say the least) explanation has not changed. However, his bail affidavit which was formulated in the days following the shooting, did change. He never went “out onto the balcony”, he added in a second fan, he added in the specific sounds of the window opening, door slamming, magazine rack, etc.Why did he not mention the window opening in the bail affidavit? It is key. If he shot her in a spontaneous fit of rage (which I firmly believe he did, having followed every word of evidence closely) he would have been completely out of control and certainly not worrying about what the neighbours may hear. Have you never lost your temper so badly that you have said or done things you have regretted later? I certainly have and I’m definitely not the hot-headed, testosterone-fueled, pistol-packing, macho man that Oscar is! Evidence like “the length of the fan cord” does indirectly prove he intended to kill Reeva because it proves that he is lying and his version must be rejected, leaving only one probable explanation. Personally I wish I could believe OP’s version because it would mean that Reeva never saw it coming and would have only experienced seconds of pain and shock, but evidence suggests that she was terrified out of her mind for 10-15 minutes before her horrific death. That’s why people hate Oscar. It’s perfectly understandable. Again something that is continually missing from mainstream media discussion is that Courts are always needing to make natural inferences from the evidence. Pointing a gun at someone and shooting them 4 times gives rise to the natural inference that you meant either to kill them or inflict grievous bodily harm. This places an evidential burden on the accused to show self defence or an involuntary act. So as you correctly point out – the Court will apply common sense unless the defence can show compelling reasons why inferences might be unsafe. But you can’t take away the screams, Andrew. And that’s the clincher. According to the Defence the autopsy revealed RS had recently evacuated her bladder – did the State accept this – is this common cause? The Defence claim this proved RS had gone to the toilet for the purpose of evacuating her bladder and DID evacuate her bladder – did the State argue against this? According to OP he shouted in the passageway and just before he got to the bathroom he heard the toilet door slam. What I don’t understand is why she would evacuate her bladder after hearing OP shouting, why he never heard her evacuating her bladder when he was at the entrance of the bathroom, how she had the time to evacuate her bladder. This bit I find difficult to understand – but the State didn’t mention it – and they should have done. Nel did challenge Botha on the urine in the bladder… Botha testified that the bladder typically accumulates 60ml of urine per hour. Reeva had 5ml of urine in her bladder. Since it depends on how well hydrated you are, there is not an exact amount of urine that they can say for sure would have accumulated in Reeva. Nel asked Botha if he could rule out that Reeva had gone to the bathroom 15 minutes earlier and he said no he could not. So I do not consider it common cause that she had emptied her bladder immediately before the shooting. Reeva’s bladder could have voided from terror, part of the limbic system’s flight response, as I suggest in article http://www.biznews.com/oscar-pistorius-trial/2014/05/oscar-pistorius-i-know-what-really-happened/ I don’t know that is correct, but it should have been checked by forensics. In any case, the state of her bladder does not favour the defence. The amount of urine in the bladder really proves nothing. If she had been awake and arguing before the shooting she would have emptied her bladder at some stage anyway. Her bladder was not empty. But more than that, if one looks at the time line it would have been impossible for her to have voided her bladder in the time frame alledged by OP. RS opened the window first, that is the first noise OP heard. So she opened the window, went into the toilet, took off her shorts, voided her bladder, got up and pulled up her short, stepped out of the toilet cubicle (toilet door opens outward), pulled the door shut and locked it. This in the time it took him to go from foot of the bed to his gun on the side of the bed and into the passage (carpeted area, not the last section which is tiled). That doesnt seem likely to me. The movement he said heard caused him to fire immediately so we cant suggest that she closed the door locked it and then got changed as he says when he heard the 3rd noise he fired immediately and she would have died with her pants down or at least not fully up. Also, why wait after closing the door all the way untill he got to the bathroom to pull up one pants. Bearing in mind his account is that he moved slowly and cautiously down the passage and into the bathroom. Thanks for this crackzn: it seems to me then that RS had the time to have voided her bladder between the opening of the window and the slamming shut of the toilet door. When she heard OP calling from the passageway – she would have just voided her bladder – then got up from the seat and slammed the toilet door closed from inside locking it at the same time. She wouldn’t have flushed the toilet. She would have pulled up her underwear either immediately before or after slamming the door closed. This is a set of circumstances that would fit in with the OP testimony. Of course this is no proof that OPs testimony is correct but the court is not necessarily interested in proof – only reasonable likelihood. I don’t think there would have been time. We talking about him talking no more than 10 or 12 metres from the foot of the bed, getting his gun and going into the passage where he heard the 2nd noise. To me she would not have been able to do all I said in post above. But, thats fine we can disagree, thanks for your comment. 2) the time between OP hearing the toilet door slamming and him entering the bathroom entrance & being quiet (not to give his position). After being quiet at the entrance he then claims to have started shouting, then heard a noise, then shot. So I am not sure why he started shouting again after saying he was quiet so as not to give his position away. In the timeline I think that your second point has the longest time frame. WRT the screaming after being quiet, it doesnt make sense because its a tailored version ,it never happened. He had to fit that in because he did shout at RS but in anger and knew with the window open there was a big possibility the neighbours would have heard. And he was right. The issue is that the bladder was empty enough (this bit must be common cause) to be consistent with RS having gone to the toilet, emptying her bladder, then listening quietly at the door to find out what was going on … hence consistent with the Defences argument. But the State don’t really explore that and don’t grill him on the precise timeline (they don’t present a timeline). Because if she DID evacuate her bladder … would she have had time according to OPs testimony (of window opening and door slamming) and should OP have heard something (her evacuating the bladder). I think the State messed up on two fundamental points and this was addressed in the Defence’s HoA and closing argument and I have mentioned it too many times. The key is that it is common cause that two witnesses called in to (or tried to call in to) report hearing gunshots before the second set of sounds (Mike Nhlegenthwa and Dr Stipp). Mike was the nearest neighbour and didn’t hear the second set of sounds – they were woken up by the first “set” of sounds. Mike also heard a lot of crying out loud noises from OP after the first “set” of sounds. If Judge Masipa agrees that the State messed up on two fundamental points then she might not look favourably at the rest of the State’s case. If Judge Masipa accepts either of the two fundamental points then she must find OP guilty of knowingly murdering RS … and the defence will appeal. If Judge Masipa agrees with the Defence that the State has messed up on those two fundamental points … then how will she look at the rest of the States case (in terms of the credibility of the State). You are incorrect on Mike N calling BEFORE the 2nd bangs. Mike’s wife heard a loud bang and woke him. He immediately checked house and then called security. At that time, they were hearing a man’s loud crying and seeing the security vehicles over at Stipps. Those things occurred after the 2nd bangs. They never heard any other bangs other than the one that woke the wife. When did the second bangs occur? Mike N’s first attempted call was 3:16:16 am. Stipp heard the 2nd bangs as he was dialing. He got thru at 3:15:51, so they had to be just before that, somewhere in the 3:15 time range. I also think that some confusion can be expected as it was 3am and people , mostly anyway, were asleep. But the bottom line arguing was heard and witnesses were able to distinguish between male and female screams. Also, the inspection cover in the bath that was damaged as well as the bedroom door and im convinced they were damaged that night, 1 reason is the different times witnesses heard noises. Of one can hear a bat against a door then its certainly possible to hear a bat against a metal inspection cover, which by the photo looks to be badly damaged. I detail the Defence’s HoA below on the timing of the second shots. If you could address it and still show that the second shots were in the time range of around 3:15 am – that would go some way to countering the Defences version of events. 222.3 He [Dr Stipps] went into the bedroom before he made the call to Security at 03:15:51. He then tried to call 10111 at 03:17 at which time he heard the second sounds. 249. The aforegoing means that the second sounds must have sounded very shortly after the 03:16 phone call, which coincides with Dr Stipp hearing “three loud bangs” when he was on the phone trying to call 10111 at 03:17. Dr. Stipp testified that he heard the 2nd set of bangs just before he got thru to security (Baba). The security call records show that the call took place at 3:15:51. Baba corroborates that when Dr. Stipp connected with him (at 3:15:51), he reported gunshots. Mrs. Annette Stipp also corroborates that by stating that as her husband was inside dialing, she was coming in from the balcony when the 2nd set of bangs were heard. Stipp got thru to security AFTER that. Furthermore, Mike N. tried to get thru to Baba at 3:16:15 with no answer. He was then able to connect with him at 3:16:36. Baba testified that Mike also reported gunshots at that time. Mike testified that after his 3:16:36 call, he heard the man crying loudly, he looked out his blinds and could see security pulling up at the Stipps. All 4 of these people corroborate that the shots occurred prior to 3:15:51. Phone records and testimony prove that. Mrs. Stipp did indeed testify that her clock said 3:17 when the 2nd bangs went off, but she also testified that her clock is often times 3-4 minutes fast! Is Security = 10111 or are they two separate telephone numbers? Would I be correct in saying that Security = Local Estate Security and 10111 is the Police? Is 188 & 192 accepted as common cause – phone call from Dr Stipp at 03:15:51 and attempted call at 03:17: (Do you know why this is reported as 03:17: and not 03:17:00 or something else – why has the seconds information been left out). ps No I haven’t listened through all the testimony so am unable to pick apart the Defences HoA – it seemed reasonable (it seemed to cohere with the mosaic) and the State hasn’t challenged it and haven’t provided their own timeline to counter it. 10111 is some type of emergency number, probably police, but it’s not the one for Silverwoods/Baba, it is something separate. Stipp and his wife were out on the balcony listening to the woman’s terrified screaming. That is what prompted him to go inside and call for help. He could tell by the screaming that somebody was in real danger. They also heard a male voice intermingled. They assumed it could be a family murder going down. Stipp testified that when he came in from the balcony, he first dialed Silverwoods Security and there was no answer. He then called the 10111 number and got a weird dial tone. After that is when he heard the 2nd bangs that he identified as gunshots. He told his wife to duck as she was standing right near the balcony entrance and he was concerned for her safety. He then called Silverwoods Security again and got through. We know that was at 3:15:51 and it was a brief, 16 second call. He reported gunshots to Baba. Now… when Roux cross-examined Stipp, he told Stipp that he was wrong about the order of his calls. Roux asserted that he spoke to security first and then called 10111 after according to phone reports. Stipp was adamant that was not the case. We did not get to see the reports ourselves, which is precisely why I say these trials should be transparent. If these are public proceedings, and we get to watch them, I think we should be able to see that evidence. I will say, Roux did a great job confusing the heck out of all of us. That’s what defense lawyers do. But let’s not get mired in that stuff. What is most important is that the 2nd set of bangs were heard BEFORE Stipp spoke to Baba. We know that he spoke to Baba at 3:15:51. Baba corroborates that and backs it up by testifying that he spoke to Mike N. second who got through at 3:16:36, and Mike also reported gunshots. That was Mike’s second attempt at reaching them – he even tried calling earlier too with no answer. So calling 10111 at 3:17 makes no sense. If it did happen, then it really means nothing. There were a lot of calls from a lot of people that night. It’s a smokescreen by the defense to get everybody riled up and confused. It is extremely important to note that the bathroom light was on all throughout this… throughout the terrified female screams, throughout the 2nd bangs that EVERYBODY reported as sounding like gunshots. They were quick bangs, conducive with a gun firing, not a bat swinging back and forth on a piece of wood. I don’t mind your questions at all. I think it’s cool that you are giving this serious thought and putting it to the test. But I would highly encourage you to watch the footage of these witnesses yourself. I know it would be hard to go back and watch everything; it’s time consuming. But please do at some point listen to ALL of the ear witnesses and then come back and tell us what you think. When I watched it, it was crystal clear to me what those witnesses heard… and it was not Oscar… it was a woman who knew she was going to die. To believe that every neighbor is wrong about the sounds of a female screaming AND the sound of gunfire, just defies logic. As I’ve said about 900 times here… it’s the screams vs the crying. Everybody who heard the female screaming, then gunshots, then silence were hearing Reeva scream for her life and then die. Everybody who heard the man crying/wailing and yelling for help heard the aftermath of the shooting when Oscar was freaking out. When you listen to all of the witnesses, you can identify the clear separation in the two sets of commotions. … I then went back inside the bedroom and phoned the security. I phoned 10111 (emergency number) [3:17: ??] and the number was out of order. While I was on the phone [waiting for security or the out of order 10111 number??] I heard another three bangs … I eventually got through to our security [03:15:51 ?? or AFTER the 10111 failed emergency call of 3:17?? This would be either a second call to Security or the First], told them what had happened … During that time, I was walking round the room and talking to them on the phone. [This call to security seems longer than the 16 seconds the Defence claim for the 03:15:51 call – what’s going on is this a second call to security – where’s the phone record?] … The security arrived a few minutes later … I told them there were shots and screaming and they should investigate. I was still upstairs talking to them from the balcony. So do we have the full phone record for Dr Stipp up to his arrival at OPs house. Sorry about all this questioning but this is really a crucial part of Defences whole case. I have now read your report of the Dr Stipp testimony and listened to the Dr Stipp evidence on the youtube (https://www.youtube.com/watch?v=dFZA03eu9NMSession 2) – from 29.30 mins is the testimony regarding the phone calls and the second set of bangs. So can ANYBODY confirm that according to Dr Stipp he made three uses of his phone between being woken up by three noises and arriving at OPs house? Is it AGREED that all witness testimony BY ITSELF is circumstantial evidence? What I am interested in is DIRECT EVIDENCE for the USE of DR Stipp’s Phone (accepted as common cause). Can ANYBODY PLEASE find the telephone usage of Dr Stipp’s Phone for the MORNING OF 14 Feb 2013? Can anyone verify the accuracy of the Defence’s Two Details? Can anyone please direct me to where I can find the telephone usage record for Dr Stipps phone? The first broadcast is catching the back end of the Defence saying they have examined someone’s telephone record and know that 3:17 was when Dr Stipp heard the second set of noises … and Dr Stipp goes on to agree with this. But unfortunately the bit where the defence detail the telephone record is missing from the broadcast – because the TV channel broadcasting it have recorded over it – with an earlier summary. Just to repeat I am ONLY INTERESTED HERE IN FINDING OUT ABOUT THE TELEPHONE RECORD (common cause) but unfortunately it seems the Defence’s details of this is missing from the broadcast posted on the Youtube. Later from 31:30 NEL SAYS THE STATEs position is THAT THE SECOND SET OF NOISES OCCUR AT 3:17 … But NEL CALLS THESE SECOND SET OF NOISES “SHOTS”. So it seems the STATE AGREES THAT THE SECOND SET OF NOISES OCCUR AT 3:17 (Nel says BEFORE THE SHOTS OF 3:17 there was …) – Can anyone AGREE with this? @ Hear – With all due respect, I must say I’m rather surprised to learn that you are arguing minute details of the case and quoting from newspaper reports and the defense HoA without having listened to the original testimony. It’s all on Youtube. There is no doubt in my mind that OP is hiding “something” about that night. As Nel said, he was far more concerned about the implications of his answers rather than simply telling the truth. At the end of the day, for me he is simply asking us to give him the benefit of doubt over too many things, which lead to him killing a defenseless woman. I could go on but any one of these would have ended the situation peacefully, on his version. I’m really sorry. Reeva’s Bladder & Bowel contents are a Red Herring. I have unfortunately been in close proximity to people that have passed away very suddenly & unexpectedly (for them.) The type of trauma Reeva experienced would have led to a Spasm which would lead to a discharge of anything in her lower bowel & bladder. They both could receive contents in the same process or shortly after, as muscles were relaxed. Hideous to contemplate, but please, have an understanding as to what happens to the human body when it passes in such a physically traumatic way. Thanks, Hoosen! I’ve seen you post about this before and it’s an excellent point. I wonder why Nel, via the Medical Examiner, didn’t cover this. It would be the easiest way to dispel all the talk about why the bladder was empty. It’s an excellent point you raise and I am surprised the State never mentioned it … but they would also have needed to report on the undergarments … as the bladder contents would have had to go somewhere … and according to OP he found RS with her undergarments up. If RS underwear contained a significant amount of bladder content (etc) then this should have been readily detectable and reported to the court. If not then we would need to consider where the bladder content went. If we evaluate OP testimony for possible consistency with the direct evidence – then it had seemed to me that RS would have evacuated her bladder into the toilet and that it would have still been there afterwards … but as the toilet was then filled with blood … it would not be detectable. Can you confirm that urine would not be detectable once it was mixed with blood in a bowl of water? Thanks in advance for any further comments on this. I have responded to Lisa above with regard to Reeva’s bladder contents. I will add this as a known fact though. The full autopsy details were not relayed to the public. I believe this to be significant. Judge Masipa will have (unfortunately,) had to sit through many murder cases. She knows what happens to the human body through experience and it may have been one of the reasons why she deliberately kept it from being broadcast. Can somebody please clear up this electrical cord issue for me, I’m a little confused. When the defence presented their closing arguments they produced a photo of the electrical cord reaching the end of the bed. Then when Nel addressed the court on this, he tired to explain that he only asked OP about the multi plug not moving, not the length of the cord. I thought the inference from Nel’s questioning was about the length of the cord not the multi plug? Does this make sense? How would the defence get this picture only now and the state not object to it. Or is this issue just a red herring? It’s a red herring, IMO. The defense tried to make the state look bad by claiming they lost evidence but the cord was never a seized piece of evidence, so it wasn’t their responsibility. At the end of the day, the bigger issue is that OP claims he put both of those fans in front of the bed – exactly where the duvet is. That would not have been possible with that duvet where it was. Plus the small fan wasn’t even plugged in. Nor were either fan on. There are several other factors that show his story could not be possible. I’m not worried about the length of the cord. I think there is something else to consider. The arguments over where the fans where lasted quite a while and Judge Masipa will be aware of its importance. I think this was one of Nel’s best set pieces as actually, regardless of where the fans were, OP’s version cannot be true. The picture of the large fan in front of the balcony doorway is obviously a serious issue for OP. Clearly, he could not have run out onto the balcony with it there, without falling over it. So when Nel asked him to mark where the fans where, OP actually placed them on the Duvet, saying that the Duvet was on the bed. That works for keeping his back to Reeva, but it does not work for running out on to the Balcony as they would have been in his way again. What is more, if they were where he said he placed them, it again proves his version cannot be true. Remember he said he checked the curtains (without miraculously disturbing any of the items on the floor?) Well, after that search he said he ran back to the bathroom…… You’ve guessed it – if they were where he said he placed them, he would have run into them again. Regardless of the placement of the fans, he cannot be telling the truth. Also, the fans could not have been where OP said as the duvet was there and not on the bed as the jeans were in top of the duvet, meaning that the duvet was always there and the fans were not placed there OR and more likely the fans were never moved, the jeans were never picked up to cover a light and the duvet was always on the floor. OP really got caught out badly here. If you look at the original crime scene photo you will see that there is no slack in the extension cord, i.e. it is pulled fairly tight and presumably any extra length is wound up out of sight behind the bedside pedestal. Now if the fan had been placed where Oscar said it was and then moved back by a policeman, the multi plug would have moved, pulling out more of the cord and there would have been more visible slack in the cord, i.e. it would have looped back. So Nel is absolutely correct in focusing on if the multi plug had moved or not. The length of the fan cord would not have allowed it to be placed where Oscar said he did without pulling the multi plug from its position. Neither the fan, the cord nor the multi plug were moved by Oscar or a policeman that night. This seems like such a tiny detail but it proves that Oscar was lying and is therefore guilty of intentionally murdering Reeva. Nel said that if the multiplug was in the position as depicted in the photo, the big fan once plugged in would not reach the place where Oscar claims he placed it (where the duvet is pictured). The defence, in showing the picture of the stretched extension cord,were trying to say that the multiplug can stretch a fair bit, so it is possible that the big fan was placed where Oscar said he put it. This was not the point that Nel made and the extension cord stretching that far was irrelevant to Nel’s argument. ** The fan wouldn’t have been at the end of the bed as claimed by Oscar. The cord of the FAN would have been too short when plugged into the multiplug. Does anyone have any idea how long the heart can still beat after a bullet to the brain? I remember Prof Saayman saying she only took 2-3 breaths after she received the head wound. On OP’s version it took him roughly 5 mins between the shots to getting her out of the toilet. I was just curious as there were arterial spurts of the stairway wall, so her heart must be still beating when the Standers arrived at 3:20ish. Hey Lola… this one has been hotly contested on many forums. I don’t know the answer myself. Yes there was arterial spurt on the walls and yes arterial spurt does require some pumping of blood. It is a bit of a mystery. But I strongly believe that Reeva was not alive when Oscar was carrying her down the stairs. Dr. Stipp testified that she had clear physical signs of death (milky corneas) when he observed her just moments later. I think she died upstairs… and more importantly, the medical examiner’s testimony supports that she died upstairs. Saayman said she would have only taken 2-3 breaths after the gunshot to the head. There was no blood found in her lungs, so she died before she had time to breath it in. No way did she survive 5+ minutes after those shots. That is confusing to say the least. Where did the spurts if blood come from then? They came from Reeva but it seems medically impossible that she was alive 5+ minutes after the gunshots, when the ME says it took her 2-3 breaths to die. On the defense version, they have her being shot even earlier! It’s just not possible with her massive head injury. Sorry, that came out wrong ☺I do know it was RS bit just cant figure it out. Maybe it isnt so important and thats why it wasnt raised? Thanks for the replies 🙂 There are sooo many unanswered questions. There was documentary made in the UK right after the bail hearing and Reggie Perumal was interviewed for it. I vaguely remember him saying that Reeva died on the stairs or near the bottom of the stairs. Do you know if Prof Saayman gave an estimated time of death? On a side note, I’ve learnt so much about forensics/ballistics just by watching this trial. In reply to Lola with regard to the length of the cord and the plug not moving, I think what he was implying was that even if the cord was long enough to stretch further it was found where it was. No-one would have recoiled the cord and put it back in that position. Can anyone comment on the ear witnesses evidence, is it enough for masipa to accept that they heard arguing and make an inference that it was OP and RS arguing or is it necessary for her to properly reconstruct the entire timeline down to , possibly, the last second? If she cant get the exact timeline right will it mean she has to reject their evidence as it surely means there cant be any certainty as to what they heard and when? What happens if she rejects the ear witness evidence but also feels it necessary to reject OP evidence based on his cross examination, that would leave her with a very hard verdict to decide on. Mrs Van Der Merve testimony of hearing a woman’s voice around 2 am is too nebulous (in my opinion) to be reliably inferred as a specific argument between RS and OP. The ear witnesses to the loud screams and cries are more substantial as they were louder and linked to the loud bangs. Hence for those it can be reliably inferred that those “cries or /and screams” are indeed linked to the loud bangs and indeed emanated from the OP apartment. The next task is to infer who made those cries and screams. We have some witnesses saying that they heard a woman screaming. We have some witnesses saying they heard a man and a woman screaming / crying. We have some witnesses saying they heard OP crying but no woman screaming. The Judge has to make sense of all that. I think all the ear witnesses heard a male also shout help help help. If Judge Masipa is satisfied that the ear witness evidence alone is strong enough to infer that indeed there was a woman screaming then she in my opinion MUST find OP guilty of intentionally murdering RS. If Judge Masipa is satisfied that there is reasonable doubt as to whether a woman did scream THEN she must take a look at the timeline and the nature of the bangs that were heard. So in my opinion the timeline AND the nature of the bangs that were heard (either bat or gun) becomes important ONLY if Judge Masipa decides that from the ear witness testimony alone she cannot infer with certainty that there was a woman screaming. So masipa need only get the exact timeline right if she cant decide on whether there was a woman screaming that night? I disagree. I think JudgeM`s focus will be on the main issue of establishing OP`s intent. Everything else is secondary. As honest as the witnesses are being, they are all questionable since most woke from sleep, and have given very conflicting versions of events. I dont see the point of her picking the bones out of it until OP`s intent has been established. For me, Cul/Hom is a slam dunk, murder is 50/50 with premeditated murder the lesser of the three options. “reasonable doubt” is the overall burden on the prosecution in the trial. Individual facts do not need to be proven beyond reasonable doubt. I believe in England the usual direction to the jury is in relation to which facts they accept. So in other words, the judge needs to look at all the facts that have been established, and then ask whether the prosecution has discharged the burden. As I have argued before – the timeline is a bit of a red herring from the defence when you look at what legal issues are in play. I don’t really see why the Judge needs to resolve the timeline beyond a few key matters. The most important point is that Stipp’s 16s call is agreed upon by all parties. If she rejects OP’s evidence then it is a very simple decision indeed. Without OP’s evidence, there is no factual basis for the Judge to make a finding of self defence. This is an aside comment. I had wondered what the reasoning was in allowing this trial to be broadcast live – as I am not entirely certain that the public gets to learn much about law – I get the impression it is more seen as entertainment than information. But quite separate to this I wonder about the ethics – we have a young woman being killed – and me, we and others all prying into her mortal remains and last moments … it saddens me and leaves me a little confused. It is not our faults because it is being broadcast to us and around the world … but now and then I think about it and it makes me uncomfortable. Maybe it is the modern life … open a newspaper … go to a media website … reality television and so on. I think if RS was my daughter … I could never forgive OP. Even if he thought she was an intruder … he still killed her … shot her to death … there can be no forgiveness for that. Yes I would want to know what happened … but nothing would fill the hole left in her absence. In the ruling by Judge Mlambo I believe one of his main reasons was for open justice. Justice must been seen to be done. Court proceedings are open to the media & public anyway, there is just not as much media interest as there is in this trial. No doubt for the celebrity/entertainment factor. I think the positive for the SA public is that they are seeing how the justice system works, what the role of the Advocates are, what the judge does etc. The reality of court is being shown to the public so hopefully that will restore people’s faith in the justice system flaws and all. Call me what you will, I find it fascinating especially with regards to the forensic evidence and OP version being pulled apart by Nel. I dint feel uncomfortable at all. I am not happy about the fact that Reeva lost her life but I am grateful to be able to get an insight into our justice system. Not that I can say I am learning about the cpa but it is interesting none the less. Personally I would like to see more of it. I would like to see some white collar crime or industrial crime cases. Where unscrupulous businesses fleece customers and taxpayers out of hundreds of millions or more dollars and where risks are ignored leading to pollution deaths or and deaths in the workplace. Court hearings are generally public. Anyone can walk in during a trial and educate themselves on the procedures, and to see justice being done. Televising the trial achieves the same goals. All rights were protected. Judge M made sure. Law is made by people, you and i included to ensure a crime free society. The legal system only exists to uphold it for us. Televising or not will not make an accussed any more or less guilty. Just dont do the crime!!! Just want to pass on a little bit of knowledge I`ve learned about the trial. From a very reliable source but will still refer to their comments as alleged. The defence allegedly offered a plea of Culpable Homicide before the trial started, but Nel rejected it. No doubt this “plea” involved a gentle slap on the wrists for OP. Allegedly, those who move in OP circles, all believe he lost his temper with Reeva and shot her, no one buys his intruder story as they are well aware of his temper. Possibly the reason why only family are there to support him. The VIP room incident is allegedly true, he did instigate the argument while drunk. The owner does have the security tapes,but doesn’t want to give them up. Possible gold dust after the trial methinks? Also, the reason OP called Divaris the night he shot Reeva, was to allegedly ask for certain “help” dealing with the situation using his “connections”, but JD refused. He was not happy at all that OP even called him and got him involved. We will probably never hear the truth of that night from OP himself, but I firmly believe that there are people who KNOW what he did. Personally, I think Roux knows. After his testimony where OP added important things in and claimed he told Roux, must of had him at least doubting OP`s story. Thank you for sharing! Can’t say I’m surprised by any of this. Very interesting about only the family being there to support him, to be honest I never thought about that but its true. That’s also why he claimed he couldnt remember phoning JD. Remember it was JD who arranged the meeting with a high ranking member of the hawks after an altercation with batchelor. I have seen your comments previously and dont think you would post this if you did not believe it to be true and from a reliable source. Yes, his deliberate “memory lapse” with the Justin phone call was a load of BS. Just like his memory lapse with Baba. It makes clear sense to me that miktals comments are true. OP has used JD’s contacts before when he was in a situation. The more I I look into this case and OP the more I see why Nel refused a plea in the beginning. Someine said it before here, but the pistorians are so blinded by his fame that they cannot use common sense and sound like bored housewives beating the same drum. There was also the question that Nel put to Oscar: “Did you ever say to anyone that you woke up in a cold sweat because you heard a noise?” Where did Nel get this? Divaris? Also, the favor wasnt about getting the Hawks involved. Divaris allegedly has underworld connections, his car business is apparently a front for them. Possibly explains why he would call Divaris before his family, agent/manager. Exhibit Q was admitted during the Cross Exam of Baba and contains the log of calls to the security number. But we didn’t get to see it. It seems no log of Stipp’s calls from his homephone was produced. I don’t understand why that is. 2. The heart can keep beating for some time after breathing stops. When you think even more, Crakzn, all of his friends testified for the State. Lerena, Fresco and his ex Samantha. Divaris wouldn’t support him, and the Defence couldn’t take a chance on calling character witnesses as that would open up a very ugly door for Nel. If OP was the nice guy he and his Pistorian followers believe, then this wouldn’t be a problem area for the defence. That is a great point Miktal. I enjoy reading your stuff. In addition? There are four charges. The Murder charge has witnesses that provide a version contrary to OP’s. For the firing out of the sunroof charge, I concede, whilst there are two people saying something very similar, he has no-one to speak on his behalf. However, the Tascha’s incident is significant in that no-one in that group, in that restaurant, spoke up on his behalf. At least for the ammunition charge his own Father was there to act as a defence witness…. Does anyone know off hand what time the call to devaris was? OP calls stander first and tells security everything is fine, the calls devaris (not sure in time) to ask for help from him and his high ranking officials at the hawks. I wonder if the toilet window was open when RS was shot, because the jeans , from the photo, look to be outside the toilet window and not the bathroom window. Also, if she was going to open a window to scream for help or for fresh air surely it would have been the toilet window as she was in there. Even Roux stated that the likelyhood of an ear witness hearing RS scream from inside a closed toilet cubicle was not high at all. That statement from roux stuck out to me. Maybe thats why the males voice was only intermingled and not as intense as OP was being heard through a closed bathroom window and RS through an open toilet window. Obviously he couldn’t leave the bathroom window closed as he was already busy with his version of the intruder soon after the shooting and knew there must be something in the bathroom to let him believe there was an intruder behind the toilet door. The toilet window could have been closed because he knew with his high security conscious it would be unlikely that random windows in his home were open and also, he knew that it was even more unlikely that an intruder would have forced open the bathroom window when the toilet window was already open. One thing I am a little surprised about is why JudgeM and the advocates didn’t visit the crime scene. It would of been easy to recreate, even after he sold it. They could get an idea of the light levels, movement, scale and all sorts. I suppose that they didn’t want to look as though they were giving this trial preferential treatment, as if they haven’t done so already! The defence is arguing that there was no sign of an argument, but it clearly doesn’t take much to flip OP`s switch. Bearing in mind that someone had already upset him that day, and that Reeva didn’t even want to stay with him, it doesn’t take much to put it all together. Throw in the fact that on his version, Reeva didn’t do or say anything that night and all you can see is a total lie. I didnt know it but Divaris was a state witness but never called. Thats maybe where Nel got it that OP said he woke up to a noise in a cold sweat? I`m sure he was a defence witness. Nel couldn’t call him as he would only be a character witness. He had no direct involvement in any of the four charges remember. I may have been wrong but I downloaded the list at the link below and I looked up the act and it says its a list of state witnesses, although there are some of tbe defence witness names on the list so im not so sure now. I`m certainly learning as I go with this, but I think that article was a little misleading. It suggests that Nel could call Mark Bachelor for example, to testify about the Kyalami incident, but that is character evidence and Nel couldn’t call him. I think Nel was just playing mind games with the defence at this point. When the defence made, what I believe to be a crucial error, in pleading n/guilty to ALL of the lesser charges (or did OP go against their advice? ), it allowed Nel to bring in SOME character evidence via Samantha, who was a witness to the sunroof shooting, and Fresco, who was also at Tashas. If you notice, as much as Nel would love to ask about other things, he could only stick to questions related to the charges. The defence finally did take a chance and call OP`s agent to testify just about OP`s character, and Nel jumped at the opportunity and brought up lots of other things. When you think about OP`s image and what he has achieved in life through his disability, Roux should really be in a position to shove OP`s character down Nel`s throat, but he`s stayed as far away from it as possible. Thats very true about the defence avoiding character evidence of their client!! If I remember correctly, after Masipa had written her opinion in response to Nel’s application that OP be required to undergo mental evaluation, but before she read it to the court, she met with both advocates in her chambers and told them what her decision was. Tweets flew about Roux having had a very long face when he came out followed by serious conversations with Arthur? OP? after which they all looked very glum. If that’s so, will it be the same with the verdict on 9/11? Will both counsel(s) and OP know ahead of time what it is or will they have to sit on pins and needles like the rest of us will until the bitter end? Once the trial is over, will the complete transcript ever be available online? 1. When is it likely to be available? 2. Where is it likely to be found? 3. Will it be free to read or can I expect to pay a fee? Having watched the trial, seen the evidence, seen the witnesses, seen Oscar Pistorius what does everyone think JudgeM will decide on the main charge? Will she find Oscar guilty or not guilty of murdering Reeva and what will be the main reason for her decision? Ear witnesses heard arguing and a female screaming. OP was shown to have lied about his version on many many aspects. One can accept that the last time RS ate was not at 7pm as OP claimed. IMO, she SHOULD find him guilty of murder, not necessarily pre med. Oscar simply had no right to kill, and whatever way the defence tries to spin it, they cannot explain why he needed to fire four of those ugly bullets into that confined space, especially since OP couldn’t even tell the court what he heard or why he shot. Oscar`s “fear of crime” is non-existent as far as I`m concerned. There is no evidence to back it up. The fact that he jumps up at night with his gun cocked when he hears a noise, suggest to me that he is a reckless idiot, not a concerned house owner. Also, who in their right mind tries to justify constantly breaking the speed limit because they are afraid of carjacking? Unfortunately, there is too much doubt concerning premed. The State didn’t explain the first noises or offer a timeline to strengthen this charge. You cant ignore that Botha was an idiot for not securing the crime scene (remember one of them did steal OP`s watch). No signs of an argument, no evidence from their phones. As much as I think he shot her in a rage, the State fell short to make that charge stick. I hear you and agree on most except that if there was no argument then the court must ask itself why there was screaming of a woman heard and why did OP lie so badly in his cross examination, if his version was true why did he create so many lies? That is a clear indication there is more to his intruder story than meets the eye. She will find him guilty of murder. If she views the state witnesses evidence of hearing blood curdling screams, and screams between the shots as credible, she will find him guilty of killing Reeva , knowing that it was Reeva in the toilet (dolus directus). If she discounts the screams, she will look at the fact that OP shot 4 black talon bullets into a tiny toilet cubicle. He went there, and definitely knew that there was a possibility that he would kill WHOEVER was inside, but proceeded to shoot anyway (dolus eventualis). He killed recklessly, which is also murder under South African law, and is not to be mistaken with culpable homicide/manslaughter. Oscar’s first attorney on the scene was Kenny Oldwage. Oldwage already represented OP’s brother Carl in his culpable homicide case. What needs to be seen here is that Oldwage was the lawyer and get-out-of-jail free card for one Lolly Jackson. I suggest international readers google the name. Jackson was an underworld and stripclub boss. His murder in 2010 is still big news locally. Through Oldwage, Divaris was friends with Jackson and a certain Czech fugitive called Radovan Krejcir, a billionaire in his own right. Jackson was best known as perhaps the single biggest collector of supercars in the country.Fits right in with Divaris’s business, right? Divaris is head of the Daytona Group, importers of supercars. In steps Marc Batchelor. Batchelor is a well known friend of the so-called Kebble killers. Brett Kebble (for our overseas friends) was a billionaire mining boss, crooked as hell, who was killed in 2005. His three killers, celebrity bouncer types, got off scott-free because they entered into a plea bargain, claiming it was “assisted suicide”. The prosecutor who gave them this incredible deal of a lifetime? 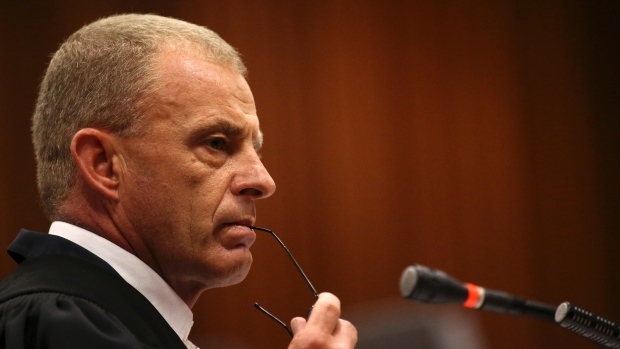 The pitbull himself, Gerrie Nel. So OP threatens Quinton vd Berg at Kyalami. QvdB’s friend Batchelor steps into the fray and threatens OP. OP gets assaulted (think about the involvement here of the bouncer type Kebble killers through Batchelor) and his friend Divaris plays peacemaker with the cops. Everyone shake hands, but the tension simmers. All these characters are rich, young, and carry guns. Part of the macho image that has come to illustrate Johannesburg’s sub-culture. In the UK gun ownership for self defence is illegal. So if this happened in the UK it would be murder no matter what. If you live in a country that allows gun ownership for self defence purposes, then it becomes perfectly legal to shoot to death people – if you can show it was in “reasonable likelihood” self – defence … or was an “accident”. So it seems to me that killing people with guns in those countries … is a bit like killing people with motor vehicles. You can get away with it. It also means that those intent with murder can arrange for an “accident” or “self-defence”. Ps – 9 year old girls with Uzi sub-machine guns (US Arizona) – it’s a different culture to what I am used to. firing gun thru car sunroof. No PROOF really. Jus 2 ppls (who dnt like him anyway) word against his. illegal possession of ammunition. His dad wud hav stepped up and supported him otherwise. Murder (dolus eventualis – he cannot escape this one) This is after discounting screams heard by earwitnesses. Closer neighbours heard different, so enough doubt was raised. I dont think he`s innocent of the sunroof shooting, but Sam and Lerena made bad witnesses and he will get off with it. I love watching Nel slow roasting Oscar over the Tashas shooting; it was hideous. Best highlight of the trial for me. I dont think the state ear witnesses were discredited , I think the defence tried hard but they all stood up under cross examination and the only grey area is the timeline of phone calls. I am going to say that I think the defence have not been straight with the phone records and I feel we werent presented with all the facts about the call logs. I would love to see every single witness call logs from that night so I can see for myself. But, lets say had any doubt about the screams then you would be able to remove that by the rejecting OP evidence, which I think masipa will do, because if his version is found false then the only other inference is that there was an argument and that means the ear witnesses were right. There is nothing else if he is lying, he knew she was behind the door. I know the Tashas incident is pretty much done and dusted, but just had a thought about something. OP claims that he didnt hear Fresco say that the gun was – One up as a way of passing the blame. But if that was the case, then why did he recycle the chamber? If he felt that the gun was loaded but NOT one up, then he would be making it one up. If he felt that the gun was not loaded, then recycling would do nothing. The only reason he would do what he did, is if he heard, “one up”, and was taking the bullet out of the chamber. 10 more days to go! Come on JudgeM! If I can figure him out….. I view OP as a very slippery character. He heard from the states case that there was a pause between the first and second shot. And that there were female screams that died off as the shots stopped. He thought he could get away by saying he couldnt hear anything because of the gunshots as he knew she screamed. He changed this under cross examination to say his ears were ringing from the noise of the shots as he knew this would keep him from hearing the scream after the first shot. Why change something like that? Unless it was to cover up. He got caught out badly because he didnt anticipate the details would be so important, he thought it would be just accepted that he thought she was an intruder but realised as the states case and in particular his cross examination that he had screwed up. Same as the duvet. Early on in his testimony, Nel asked him when was the last time he saw the duvet, and OP said when he put his legs on. He was very clear about having to push it towards the middle of the bed. When Nel presented him with the blood trail, he changed it to, I cant remember where it was. Is it possible to accidentally kill someone with a gun like it is possible to accidentally kill someone with a car? Example: You point your gun at someone or something for self-defence purposes but your gun accidentally goes off and you kill someone. In the ensuring court case will the court seriously consider the possibility that it was an accident? If it is decided that the court cannot rule out as a reasonable possibility that it was an accident – does that mean you are allowed to walk free? Separate question: In the case of Oscar Pistorius he used “black talon” bullets. Are they legal? If they are not legal does that mean he will be found guilty of some type of murder simply because he used illegal (?) ammunition? I think a lot of people were waiting for OP to explain why he had those particular bullets. They are banned even for use in warfare as being too cruel. From what I read only criminals use them and they have to be ordered specially. OP tried to downplay them by saying that they are the type of bullets for that gun; another weak but necessary prepared answer. Your question on whether accidentally shooting someone can be justified, it all boils down to intent. With regards to the tripod fan and cable. The photo taken of the tripod fan in the position in front of the door was one of the first photos taken of the room that morning. The photo presented by the defence was later in after the photographer moved items around to get better pictures/different angles etc. Its highly improbable that photographer found the fan with the extension cord the way the defence presented it, wound it up behind the bedside table/wooden counter taken a photo and then pull it out again so the slack on the cord could be seen as per tje defence photo. No one, least of all the photographer, knew his version so there is no way this would have been done. Thats why Nel said, “if the multiplug does not move the fan cannot be put at the foot of the bed where the accused said he put it” He had seen the photo of the cable unravelled that tje defence used but it was not how the scene was found on the morning. This was another sneaky trick by the defence to try and confuse masipa. Further to this, when nel put to OP that he never would have been able to put the fan where at the foot of the bed guess what OP answer was? He didn’t state it as fact that he and that the fan can reach there, he didnt say that what the photo doesnt show is that the extension cord has still got slack which cant be seen in the photo and didnt do his usual arguing and say its not true etc etc. No, he says to Nel, well I cant say for certain because I dont have a measurement of the cable or the carpet!!!! Surely if you put something in a certain position you will know and be able to state as fact that it can and was there , not ask for a measurement of the cable and carpet to see? Its a clear lie, the fan was never moved at all that night, it was in the position found by the photographer. Just like he said he moved the small fan and it was in, funny because it wasnt even plugged in that morning. Yes OP evidence in chief is packed to the rim with lies. Many have been proven. Guess what his response was when Nel asked him if, as a christian, he will tell the court the truth?..”I WILL TRY NOT TO LIE” I wonder what he meant by that. Confirmation bias occurs when neutral facts are distorted in order to confirm one’s own beliefs. Beliefs generate expectations. Expectations distort perception. One becomes “prejudiced” by one’s own beliefs. This is part of the natural functioning of the human brain. This guy will be convicted of premeditated murder and life in prison where he rightfully belongs his own testimony while on stand will convict him his story is full of lies and reasonably can’t be true. If you were the deliverer of justice and had the power to impose any sentence (including capital punishment) – what would be your justice? On a purely esoteric level, I think that the astrologer on you tube, JOJo Savard , summed up what unfolded on that fateful tragic night of 14/2/13…. A very interesting insight to the event. Sadly I believe that all evidence points to guilty of pre meditated murder and that his icon celebrity status is to be put aside and that he must pay for this crime in incarceration. I must day im not one for astrology but that video is very interesting and sounds about right to me. Anyone got a link to this astrologer? Pretty much what I expected, just some fraud contorting already known facts into a ‘”mystic” narrative. Very easily done, utter waste of time. I’m not into astrology at all, but I think she is saying what a lot of us have worked out already based on common sense and the available evidence. Unresolved abandonment issues …. Interestingly she posted this a year ago. Ah, I didn’t notice that it was posted a week after the shooting. Behind the weird hair and matching dog (is it alive!?) the “fairy of the stars” actually makes some very good points and would probably have made a more credible witness than a few of those that we heard …. Maybe it is time to bring back astrology into the courtroom? There is an argument that the Justice system has never been the same since they outlawed trials by ordeal. I am finding archive of live broadcast difficult to find now, no longer at WildAboutTheTrial and YouTube very patchy. Any suggestions? @Juror13, any chance that you will upload the defense case before the judgement? Akpee and Juror 13 – thank you for links!! Just a ps in regards to astrologer , JOJo Savard… Yes she is a Canadian I believe, and posted it one week after the 14/2/13.. So at a time when no one in other parts of the world ( or indeed SA) was aware of any real details, it is strangely insightful when viewed in hindsight… Many other astrologers who have drawn up charts of both Oscar and Reeva, and focusing on the planets aspects at the time of the killing are in total support of JoJos’ analysis… Very powerful ! I think one week after the actual killing incident the public consensus was that this must have been a tragic accident – although there was perhaps a significant minority who were sceptical that it could have been an accident (especially given that it occurred on Valentines Day – a traditionally day for stresses in relationships that are weak). a) Jan – Feb 2013: Mars rising into Venus crossing shooting star sector: OP kills RS. OP once again losing his cool. Also , seems like he is anticipating a guilty verdict. Does OP still have guns to protect himself against intruders from the press? A little puzzle now possibly solved. I have no doubt as to OP’s guilt but still find the odd niggle here and there to work through. Thoughts of a lack of bloodstaining on the bedroom doors is a big hole on OP’s explanation for the damage by the secondary door’s bottom latch. Carise Stander and the police both appear to agree that secondary door was closed and latched so OP in his version opened it so must have closed it. All OP’s contact with the door when he had bloodied hands should have left stains so his version falls to be rejected. Thinking of blood stains and gunshot residue led me to consider the issue of gunshot residue on the combined bathroom and toilet light switch panel. I am satisfied the bathroom light was on all the time so OP had no need to touch the socket to switch that light on or off. However the light in the toilet being controlled from the same switch panel should also be considered as being a reason for gunshot residue being deposited from OP’s hands after he fired the shots. The Stipp’s give differing versions about the state of the light in the toilet from their observations.it does not mean either is wrong or making a mistake. The state of light in the toilet when viewed from the Stipps home could have been subject to several possible variables. Whether the blinds were lowered or not or in the closed or open position. The status of the toilet door being open or not allowing illumination from the bathroom through the doorway. Whether the light was actually broken at the time of the incident or whether it was broken afterwards as part of a cover story as it could still be controlled by a person in the bathroom of it was still operable. The toilet light being broken after the incident to aid a cover story does explain both the gunshot residue on the lightswitch panel and the differing accounts from the Stipps about the toilet light. IF THE LIGHT WAS BROKEN AFTER THE SHOTS. If we refer to Carise Standers evidence the only reasonable inference from what she heard when outside the bedroom door is that OP went into the bathroom. He was supposedly fetching Reeva’s handbag and nothing else. The bathroom is a strange place for a handbag to be. Carise and others were concerned that he had been gone too long, hence she went to just outside the bedroom door. The possiblilty exists here in the evidence for OP to carry out actions in the bathroom to make the toilet light inoperable, such as by damaging the bulb or changing if for a previously broken one. A towel could be used to avoid bloodstains ending up on things to give away what he was doing. In regards to OP peering into the toilet from the small hole created by the 2nd bat strike he claimed he saw Reeva. This is not something that should be readily accepted regardless of when the hole was formed. Going by his version of no light being on in the toilet then the only light in the toilet is that from outside, which would be very little indeed and reduced by the blinds OR from the small hole he made. The light from the hole would be very little and would not fall upon Reeva as she was offline from that created by the hole and the source which was the bathroom light. So was it really feasible that he could see Reeva in the very dark toilet through the hole OR was it that the light was working and was used at some points in the incident? Nel: Mr Pistorius, how many policemen does it take to change a light bulb? OP: I can’t remember, My Lady. Carice Stander says she heard him walking on the “tiled area”. The only tiled area is in the bathroom so it is interesting that she chose to describe it as the “tiled area” rather than just say “he went into the bathroom” …. Juror 13 Wow, i got that chronologica timeline somewhat wrong . After hearing Judge Masipa go thru it , I realized that The Stipp’s faulty timeframe of their calls is what messed mine up. Will you be researching the correct timeline and what exactly had occured by the time each witness got thru ? This was the basis of how the Judge found that the screams between the 2 sets of bangs heard by the Stipps had to be the Accused! Judge said that the 3:15 call of Dr. Stipp is what was important because that indicated that they would not wait 13 min. to call security after hearing the initial shots at 3:02 as Anette testified looking at her clock ( I dont think that is a correct way of moving the timeline, but),Accordingly; Burger’s heard OP’s screams then, help help help and the Cricket bat banging on the toilet door They were asleep during the first set of gunshots: Mrs. Merwe heard the actual gunshots and a bit later Oscar crying loudly she never heard the cricket bat bangs; Ms. Neghenthwa heard the last bang of the first set of shots and Oscar yelling for help, but they never heard the cricket bat bangs; The Stipp’s heard everything but got their call sequence wrong as the log data proved. Unfortunately, I tried many times to hear the Stipps evidence again, but the tape available on youtube is interupted just at the point that Roux is discussing exactly when they heard the 2nd set of shots and call. If the judge’s detailed chronology is correct, Oscar’s version is consistent with it and Gerrie Nel indeed failed miserably as he did not take the judge’s last question posed to him seriously in arguing it.